The new residents of this 2500 square foot colonial home, located in an unassuming neighborhood on Long Island, contacted us with the desire to update their new home to accommodate their three young children and a home office. In addition to providing space for a home office the renovation included a new first floor common bath, where there was previously none, an enlarged and updated kitchen, an updated and expanded master bath. Additionally, the existing family room was rearranged to open up to the expansive back yard and provide additional daylight. The final design is one that helps to open up the once compartmentalized spaces into a more open plan. Now that the kitchen, dining and family rooms now open up to each other it allows the entire family to interact more when on the first floor public spaces. 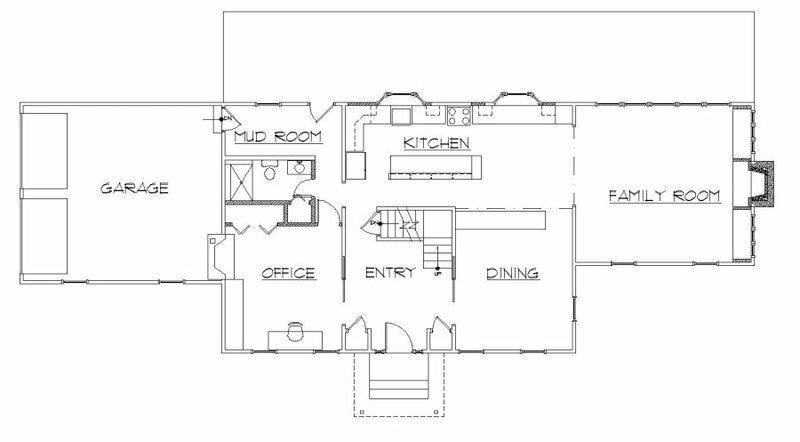 Meanwhile the alterations to the private spaces on the second floor address the wants and desires of the client while providing some additional space, fairly distributed storage, and convenient laundry.